A look at adventure and multiplayer modes. Bandai Namco has released a new trailer for The Seven Deadly Sins: Knights of Britannia dubbed “Wrath of the Dragon’s Sin,” as well as announced a European collector’s edition. The trailer highlights the adventure mode and multiplayer battle modes featured in the game. Adventure mode sees players taking on quests, collecting rumors from townsfolk to increase their gossip meter, and fighting against enemies throughout the kingdom of Liones. In multiplayer mode, players are able to choose their favorite characters and fight against other players online or offline. The characters from the upcoming anime season of The Seven Deadly Sins are also featured. 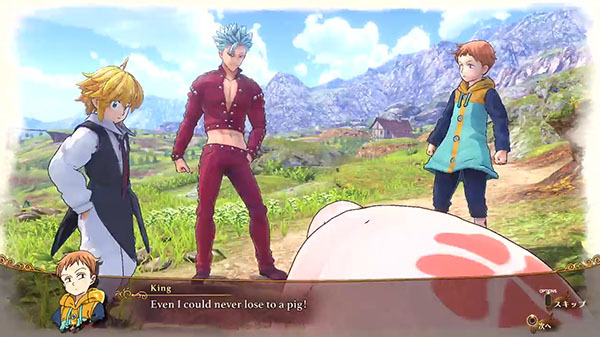 The Seven Deadly Sins: Knights of Britannia is due out for PlayStation 4 on January 25 in Japan, and February 9 in the Americas and Europe. Watch the trailer below. View a glamour shot of the European collector’s edition at the gallery.